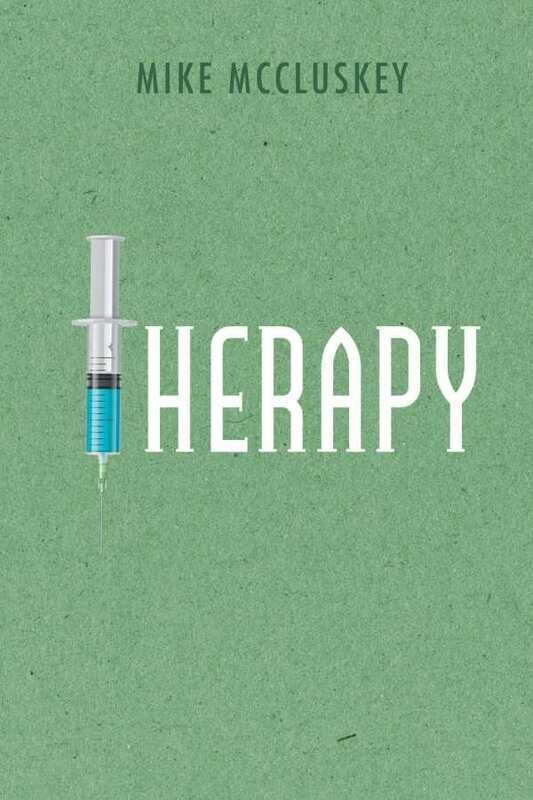 Therapy uses its poetic lines to capture the wounded rage of an isolated individual. Mike McCluskey’s poetry collection, Therapy, gathers the troubled thoughts of an “absolute lunatic” and “madman” who lays it all on the page. Over the course of forty-nine brief poems and a short story, the book delves into the dark thoughts of a writer who is in pain and attempts to self-medicate away all his sorrow and hurt. The chapbook goes to dark places, encompassing insanity, criminal impulses, and undifferentiated loathing toward a hostile world. The poems rhyme but rarely use rhyme schemes more complicated than a couplet or the occasional abab stanza, giving them the feel of punk or metal song lyrics, especially given the gothic content. Imperfect rhymes pad out verses that touch upon death, grave-robbing, and worse. A musical influence resonates so strongly through tightly metrical poems like “Cyborg” and “Countdown to Extinction” that they read as if they’re being sung aloud. All of the poems are brief, many as short as a four-line stanza, mirroring the exigency of an emotionally wounded narrator. Pithy poems like “Patience is Death” hit plaintive notes that echo on. But the book’s many cheesy and cliched images are stultifying, while the use of exclamation points and all caps elicits frustration. The language is raw and direct, and even sometimes playful, as “The Goat,” where word choices riff off of an acronym (“The Greatest of All Time”). Sometimes cavalier with its subjects, the collection has its missteps, as with a depiction of schizophrenia triggering a murderous impulse. It is coarse as it glorifies homicidal rage and casual violence. Horror film tropes and musings on whether creativity is just craziness animate some lines. Poems dedicated to pop culture are weaker links, including an ode to the Halloween’s Michael Myers that paints the slasher film icon in a sympathetic light and offers more description than insight. References to zombies and serial killers establish a particular mood, but not much beyond it. The poems all share a single narrator who despairs of their “demons within,” referencing scars on their wrists and wanting to try suicide again. Passionate outcries and emotions leave the greatest impact, and moments of intimacy are powerful. Notes of levity are highlighted in the book’s series of photos, depicting a demented doctor, often with a fake skeleton that’s placed in increasingly ridiculous poses. They are a counterweight within a work otherwise bogged down by darkness and despair. They also reinforce that there’s a certain level of showmanship at play here. The poems come across as performative, though grounded in emotional truth.